User Functions are functions that you write yourself. They can only return a single value or a matrix. 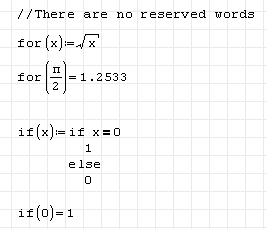 Here's a function to round a floating point number down to the next integer smaller than or equal to the argument. 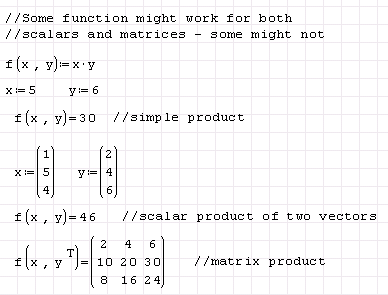 Here's a function that returns a matrix. 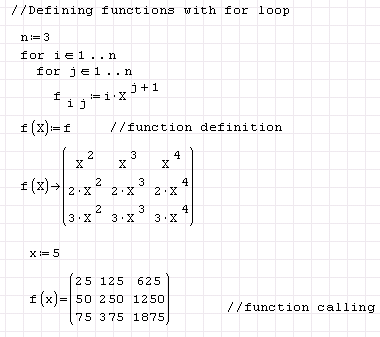 I didn't say it was a useful function. 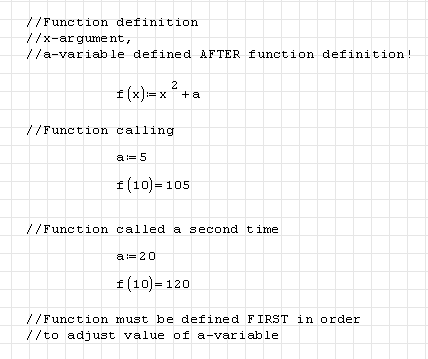 On the LHS of the assignment operator there is f as the function name, x,y are function fictive (dummy) arguments. 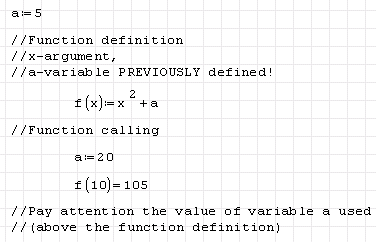 On the RHS is the function definition by an expression. 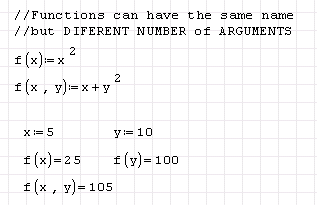 As one can note, functions can have the same name, and are distinguished by different number of arguments like f(x,y)-two arguments, f(x)-one argument. Even f as a variable can exist. 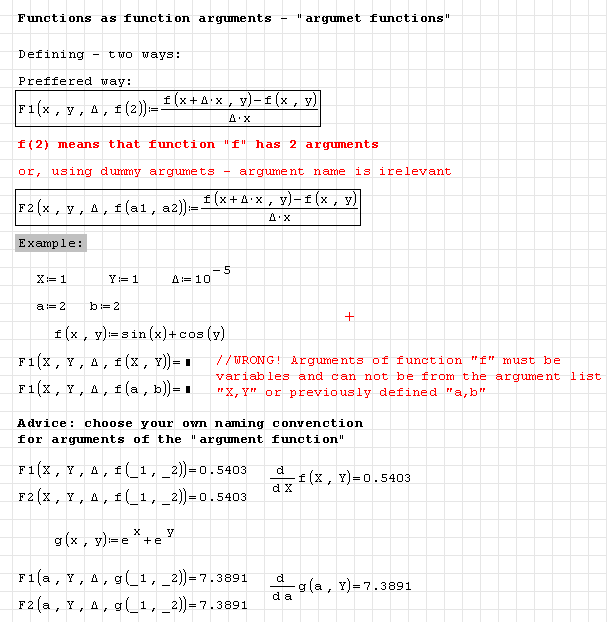 Function is called by its name and real arguments. Real arguments can be constants, variables and expression. 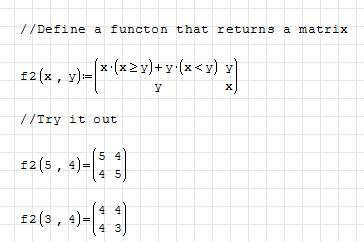 Function is returning a value and, therefore, may be as a part of an expression. 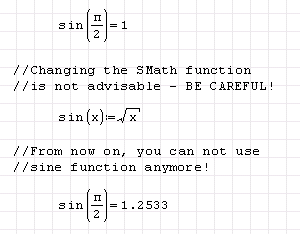 Redefining SMath function - take care! Multi-rename: To start changing names of the variables, functions, units, numbers or empty placeholders with the same names user will need just put the cursor on the primitive in interest and press F8 keyboard button. As a result several cursors will be drawn on the canvas and user will be able to manage all these cursors at the same time! To deactivate this feature one should press F8 button again or press ESC + several ways implemented to deactivate it automatically (on click, if cursor will jump to another element and etc. ).